24" or 30" chain FREE! 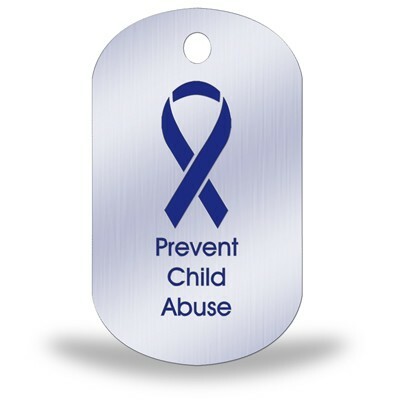 Anodized Dog Tags are made with a color anodized tag and your logo or wording is imprinted into the metal. This is a colorful popular dog tag typically used for medical conditions, allergy alert, pets, seniors and military enthusiasts. Our anodized Dog Tags are very strong and durable. Anodizing resists rust and fading and can be worn in the shower or while swimming in a pool. A great item for keeping medical emergency information and vital personal data on hand. Dog tag Depot has had amazing success and has turned the custom personalized dog tag into the hottest fashion and fund-raising product around.